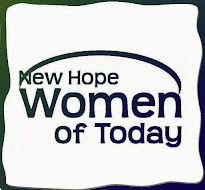 New Hope Women of Today: Save the Date - Holiday Craft Night! It’s that time again!! It’s time for another fun night of very easy crafts to help celebrate the season. I haven’t selected the items to craft yet, but rest assured a reasonably agile hamster will be able to do them! The odds are high that a glue gun will be involved. Sign up at the October General Meeting. If you have suggestions for EASY CRAFTS, please let me know.